If you’re part of a charity, not-for-profit group or any kind of community gathering such as a school or church, you’ll know that keeping costs down is important. For groups who are trying to raise awareness and garner support, the cost of marketing and outreach can sometimes seem prohibitive. That’s where SMS marketing can be really useful. What makes SMS an effective way to reach out to your local community and supporters while keeping costs down? Chances are, the people you want to reach have a mobile phone with them most of the time. SMS messages help you to get their attention without having to compete with anyone else. A text commands attention, and invites a response. Texting also has a personal feel to it, which is perfect for a charity or community group. Your recipients will feel like they’re part of something, and your group will benefit from gaining their undivided attention. As the article “Community Outreach on a Budget With SMS” points out, text messaging is a cost-effective way to reach out to your community. Marketing campaigns often take a hefty investment, which your group may not be able to stretch to. A bulk SMS campaign on the other hand is often cheaper than other forms of marketing, but no less effective. A good provider will let you buy only the credits you need, giving you the opportunity to scale your service up or down as your needs and budget dictate. SMS messaging has plenty of uses for charities or community groups. There are myriad ways to use text messaging for a charity or community group. Considering just how cost effective texting can be, it’s a versatile marketing tool that you can use in more than one way to benefit your group. Just make sure that your recipients have opted to receive such messages from you, and that you offer an easy opt out option, to make sure you stay in line with text marketing laws. Most bulk texting services allow you to build different subscriber lists. That means you can segment your recipients based on the kind of messages you want to send them. For example, a charity could build up one list for new supporters, to send out interesting tidbits of information about the charity and encourage involvement, and another for long-term supporters to get feedback on their membership experiences. Using SMS in this way means your subscribers will only receive messages that are relevant to them, making your messages stand out more. With bulk texting, you can schedule messages to be sent on a specific time or date. That makes it easy to plan your text campaigns in advance, knowing that the right messages will go out just when you need them to. You can also use scheduling to choose the best time to get your recipients’ attention, such as after work or on a weekend afternoon, depending on your demographic. 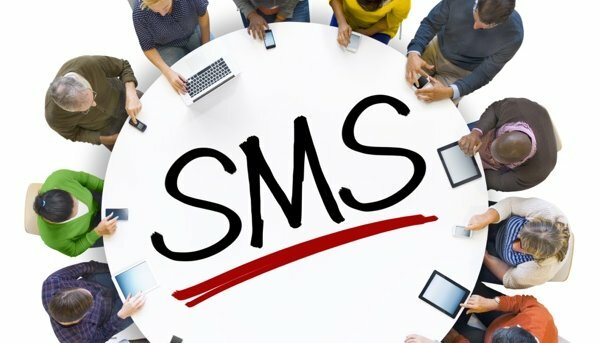 Trying to reach out to your community and raise awareness while keeping costs low isn’t always easy, but SMS marketing gives you an effective and versatile way to do just that. About the Author: Tristan Anwyn writes on a wide variety of topics, including social media, text marketing and charity outreach. ← Are You the Next Fraud Victim?